CSS is one of the most popular and widely used development languages, which is quite easy to learn and use and offer some really nice features. Although CSS is quite fun as compared to other languages, but still some of the tasks in it can be quite irksome. This was the reason why many CSS tools were created to help you with those irksome processes and make your life easier. These tools that can be used for make your work easier and quick. With this list, we shall be presenting a list of 10 Best CSS Tools to save your Time. As the title of this post says, these tools will definitely help you do your work more quickly and save your precious time. These will quicken your work and thus enhance your productivity. So check these tools out and pick the ones that meet your needs. We really hope you will find this list useful. Here goes the list. This CSS Menu Maker tool provides every freelancer to create custom cross browser compatible CSS menus. You do not need any background of programming because it provides source code for all CSS menus. It is another amazing CSS Tool to compress CSS code and helps for to speed your website loading time. It can save your server bandwidth as well compressed CSS in a good balance. Another CSS 3D Transforms online tool provides various level Transforms. This tool is on experimental mode and require specify prefixes in all browsers. Prefixr provides Cross-Browser CSS in Seconds! it also helpful for developers for testing their codes. Quick From Builder Accessify’s quick form builder merges two older tools (form builder and form element generator) into one much slicker process. LS is like graphic editor which creates codes in CSS. SA is a powerful CSS3 Tool for creating Animations, text, images, buttons with gradients and embed analytics. Patternify beautiful css pattern generator. It is an amazing CSS tool that generates text shadows. You can try it! 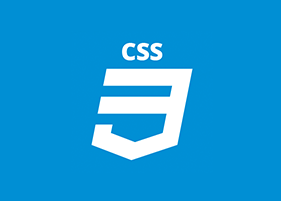 With the latest advances in CSS3 many of the effects that were once only achievable in Photoshop can now be replicated in CSS code, but it’s sometimes difficult to visualise the appearance of these effects when staring at a few lines of syntax. This is where CSS generators come in handy, this roundup of tools makes it easy to create the exact CSS effects you need with the help of graphical interfaces.